News flash for nonprofits: You are not exempt from business buzzwords. And of all the words that have ceased to pack their orginal punch, engage tops the list. You've heard this rant in mini-form before. But my annoyance for this overused word came back with a vengeance when I went to comment on my dad's post about annoying business cliches and realized I was writing a novel on the subject. My grousing will not sit well with the nonprofit community. Engage is one of our favorite words. We engage constituents. We engage donors. We engage volunteers. We engage students. We engage in dialogue. We engage in service. We lead engaging programs, write engaging emails, craft engaging websites, and build engaging social media profiles. The only thing we don't do is engage couples -- at least, I thought we didn't, until I found out about this organization. Clearly, engage has gotten out of hand. It's time to disengage. Engage. Verb. Several of its varied definitions include: to carry out in an activity, to absorb, to hire, to be asked to represent, to betroth, to get caught, and to carry on. This means that without providing specific context or concrete details, you could be asking your constituents/donors/volunteers to wage something, employ someone, be interested in whatever, participate in anything, or marry you. When I retweeted the original article yesterday and added this word, consultant and author Bonnie Koenig asked me what I didn't like about it. I replied that it's overused -- a bland, convenient fallback for people who can't or won't articulate their vision more clearly. Her response: "Granted that it may be overused, but when the walk matches the talk it’s a powerful concept!" Ah, but therein lies the problem. Walking does NOT match talking often enough to warrant engage's widespread use. Indeed, the "talk" is the best litmus test of whether a nonprofit understands what it's trying to achieve. When you can't articulate what you're doing, chances are you don't know what you're doing. That's when engage creeps in. It's handy. It's accepted. It means anything to anybody and doesn't paint you into corners. Which is to say ... it's meaningless. But have hope! You can move beyond this word and into a richer realm of new language that better says what you do and what you aim for. First, define your walk. (See previous paragraph.) Second, know your audience, know where they are, and know where you want them to be. * We want our thought leaders to participate in our roundtable discussions. * We want our constituents to send letters to their representatives. * We want our personal networks to contribute videos and photos to our contest. * We want our fans to share links and post comments on our Facebook page. * We want our volunteers to spread the word about our literacy program. And so on -- each one a specific, action-oriented statement about who you're targeting and what you want them to do. And if the red-hot poker is still flying, follow these five tips for eliminating jargon -- they have the added benefit of clarifying your messages too. I'd love to say 'never' here. But I won't. 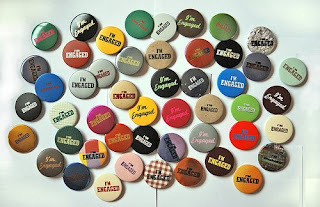 Because 'engage' as a word is not the enemy -- just its misuse and overuse. So in light of engage's innocence, protect it. Use it sparingly. Treat it like a security blanket -- a familiar item others recognize, but one you'd rather not be caught in public holding all the time. Nonprofits, you're not blah. Your work is not bland. Your missions are not cookie-cutter. So find the distinctive language that tells the wider world these truths, and watch true engagement unfold. Thanks for this! Having written 3 books on the power of Community Engagement, I can attest that Bonnie Koenig is correct - when walk and talk are aligned, powerful things happen. That's because engagement is not about "getting someone to do something." When I am engaged to my beloved, it is not because he "got me to do something!" That said, I agree the word is overused. Sadly, I've found only one other word that describes the power of those relationships: Friendship. And talk about overused! Friend = donor. Friendraising = donor cultivation. Funny Baby Pictures: Are they done yet? ?